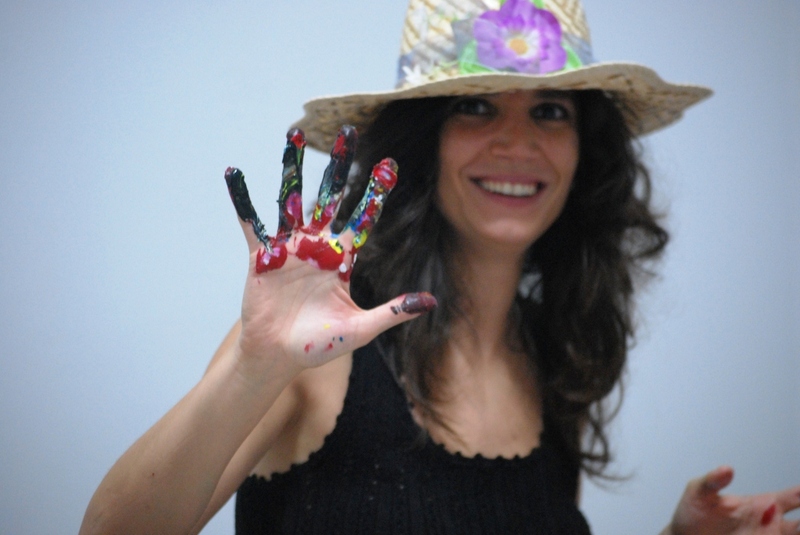 The finger-painting workshop aims to facilitate the ability of self-expression through the interesting connection between the physical act of touching the paint and connecting with something important inside one’s self. Like yoga, finger-painting is a physical and spiritual opening up that helps you transcend and reach a different place within yourself, …allowing you to explore body, mind and soul. It’s a good activity to fully express yourself! You probably have childhood memories of sitting at a little table, dipping your fingers into thick, brightly colored paint and noodling your way around a sheet of smooth, shiny paper. These paintings were usually formless squiggle, blobs and lines created from a child’s carefree lack of inhibition. 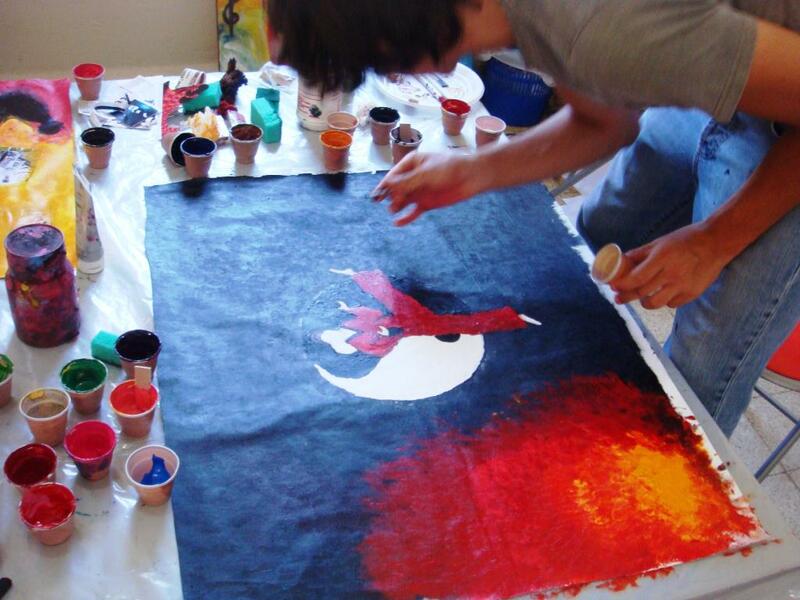 But finger painting isn’t just for children! 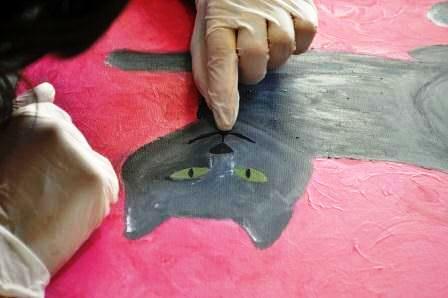 Finger painting was a long-forgotten art form used by ancient people in North America, China and Europe. 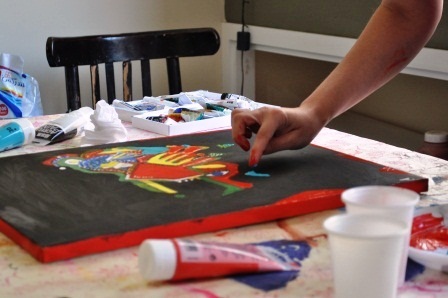 This activity has a spiritual component; like yoga, finger-painting is a physical and spiritual opening up that helps you transcend and reach a different place within yourself, allowing you to explore body, mind and soul. • It is believed that it plays an important role in the emotional healing for people of all ages and abilities. 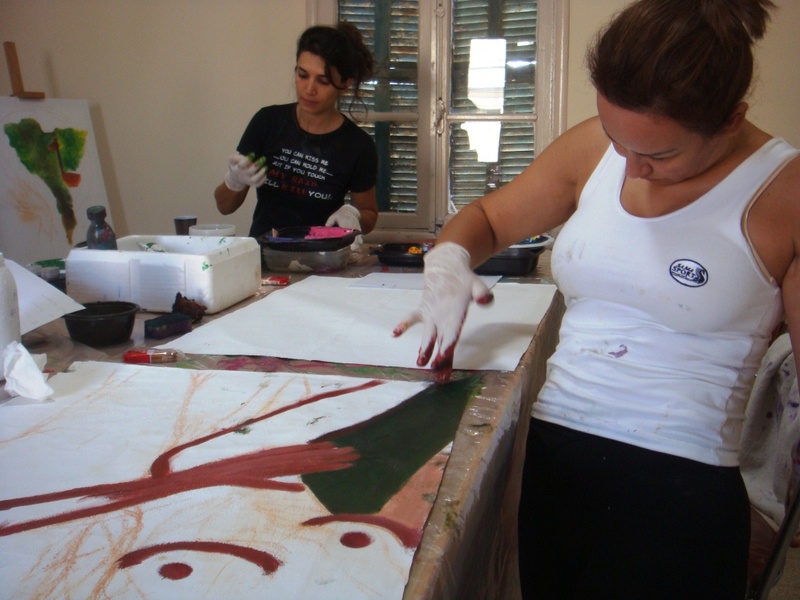 • The technique results in a real bond between the artwork & artist, it is a way to become more intimate with the process of painting. • It encourages personal growth by providing a venue for an expressive medium. • It does not require any particular talent to enjoy. >>> Warning: It can be addictive for adults. The more you do, the better art you can create. Who is the workshop (Course or Sessions) for? The workshop is intended for people of all ages. It can work for both non-artists and artists (beginners or advanced). 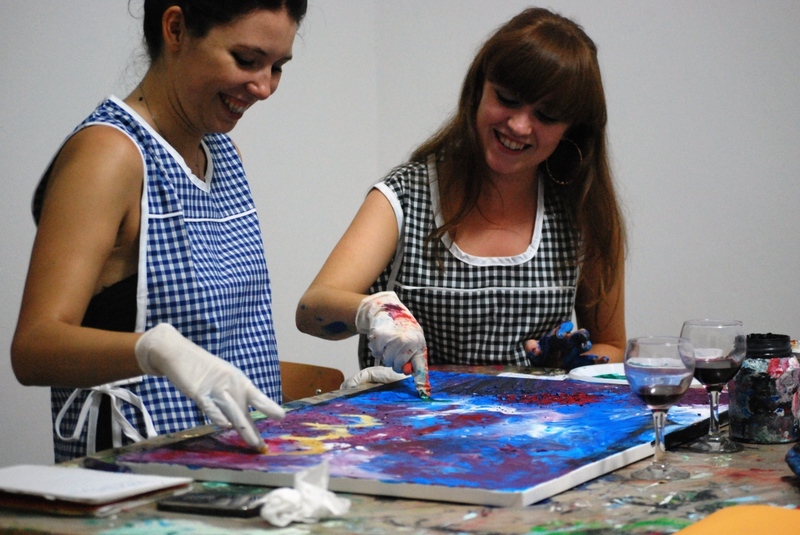 It is for any person who wants to bring out his inner self through the interesting act of touching paint. What is the Course’s schedule? The Course will consist of 8 sessions of two hours each. Course Curriculum for Advanced Participants depends on the level of the participants. It mainly focuses on inspirational techniques, complexity in composition, media & medium technical use and refinement in finishing. Wear comfortable clothes you would want to ruin with paint. As August continues and temperatures peak, try something new with our pick of this week’s ‘Twelve things to do this week’. 1. Go Sightseeing – in a plane. You haven’t seen it all until you’ve seen it from 9,000 feet up…….. If you’re up for exploring your mind, body and soul, this is one way in which to do it. 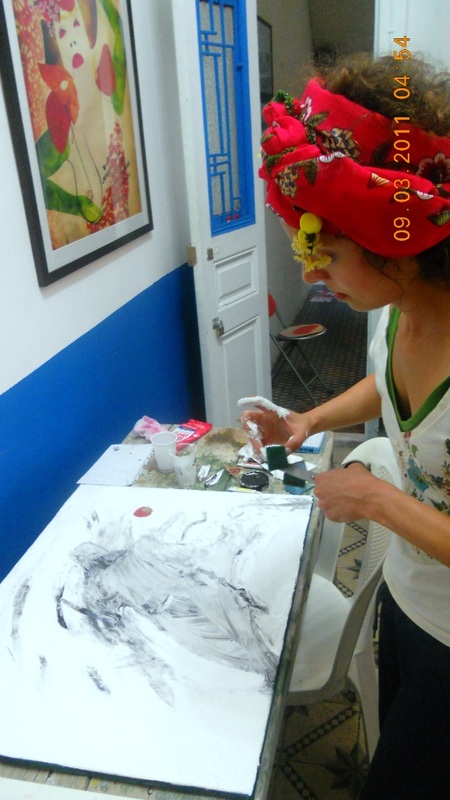 Artist Kiki Bokassa will guide experimental adults through classes working on self-expression through the physical act of touching the paint. In Rome, Italy, 1931, during one of the American educator Ruth Faison Shaw’s art classes, a young student of hers accidentally slit his finger. She handed the child iodine to help stop the bleeding. Instead of tending to the wound and continuing his artwork with traditional painting tools, the student began to use his finger and the iodine to paint. His accident led to the reintroduction of a long-forgotten art form of the ancient peoples of North America, China and Europe — finger painting. 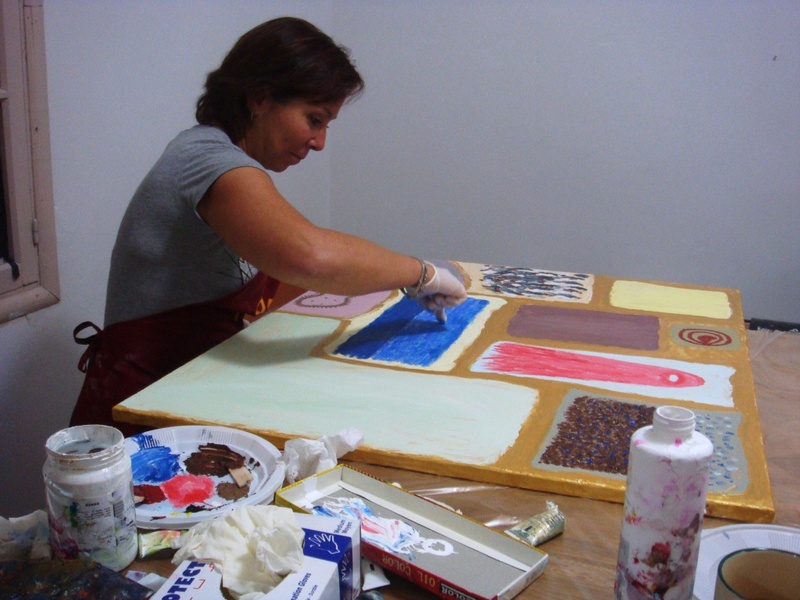 As Kiki lectures the attendees of the workshop about the history of finger painting, self-expression, composition, media, the use of color, and the tricks to finger painting, the casual atmosphere allows one to follow her agenda or make your own. The single long table in the cozy gallery provides just enough room for the experience you are looking for. Samara, who went into the March sessions with no expectations, enjoyed them so much that she was thinking of retaking the course in April. “It is a pity the session was so short,” she told NOW. 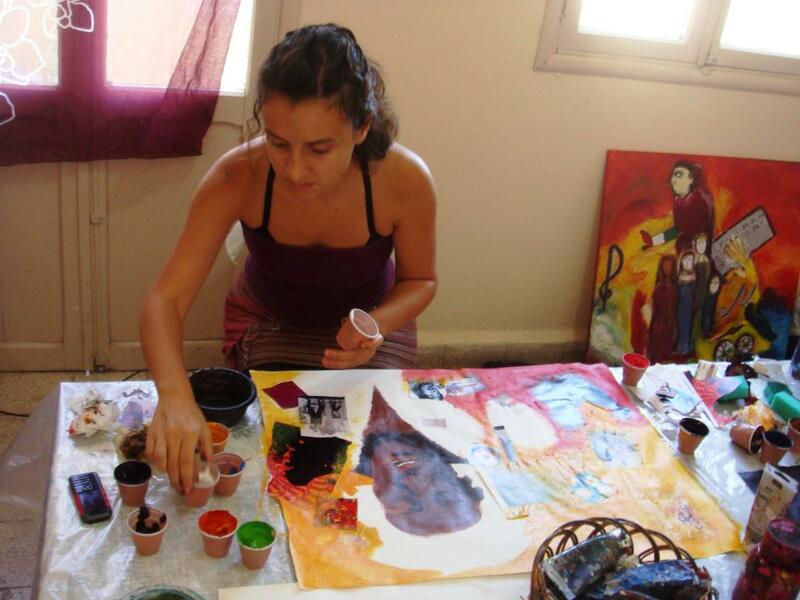 Samara and her cousin Mira, both in their 30s, who live and work in Beirut, were looking for something to do “besides going to restaurants,” Mira said. 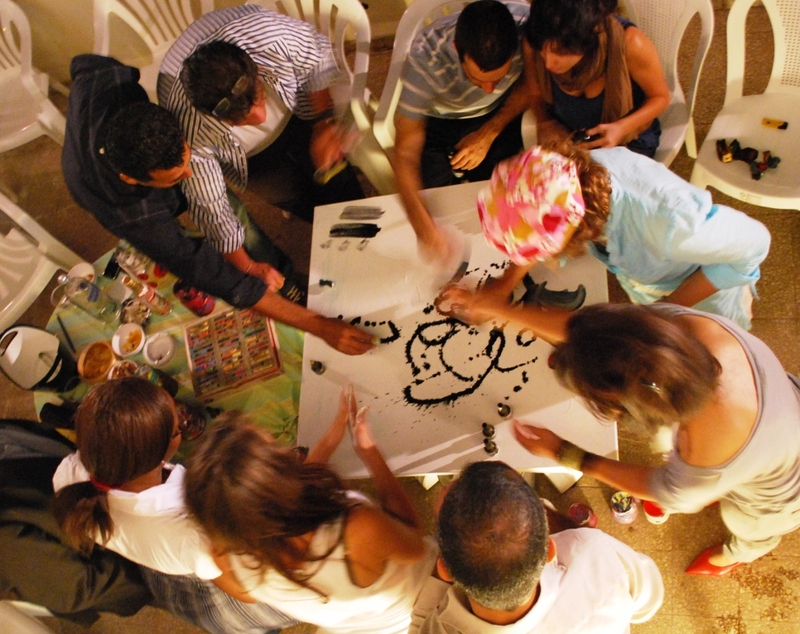 The workshop functions as a fun stress-reliever for some, but a more serious time of reflection for others. 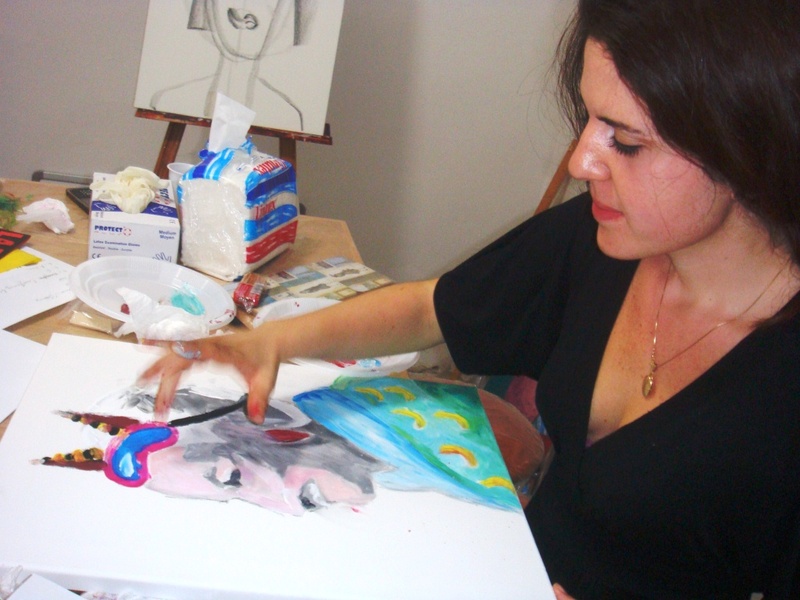 Mira described the concept behind the work of one her classmates titled My Back and Me. The painting was a thick and dark depiction of the woman’s injured spinal cord covered with red and blue in an attempt to express her painful back problems. “Some people applied the paint rigorously, some softly, some in lines, and others in circles… It was interesting to see that even though we all began our background with a single color, they all looked different,” Mira added. Mariangela Pira. 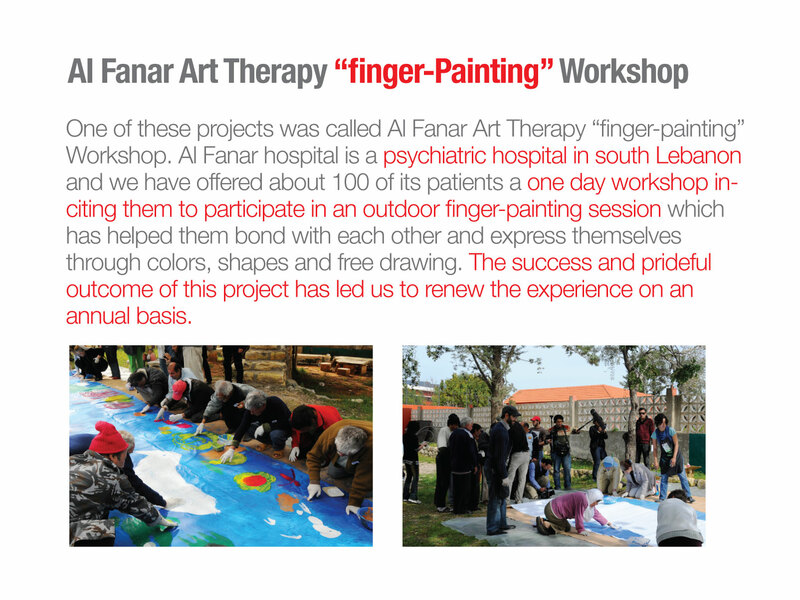 A special day that experienced by patients of the psychiatric hospital “Al Fanar” in Lebanon. 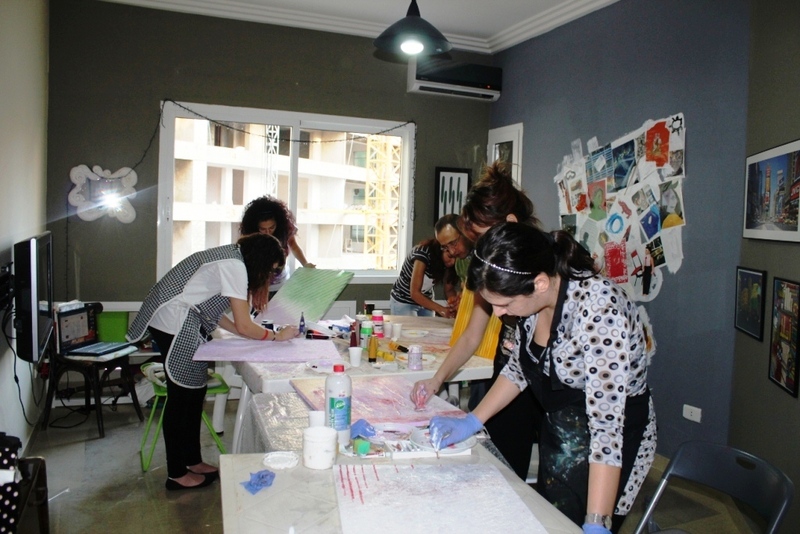 A well-known Lebanese artist, Kiki Bokassa, has created a painting session, think about it, a whole day, involving about 100 patients. The initiative is part of the emergency program Ross III, set up by the Italian Cooperation for the rehabilitation and support of this hospital. This innovative initiative, even more so if we consider that psychiatric hospitals in Lebanon are only three, and only one is located below the Litani River.